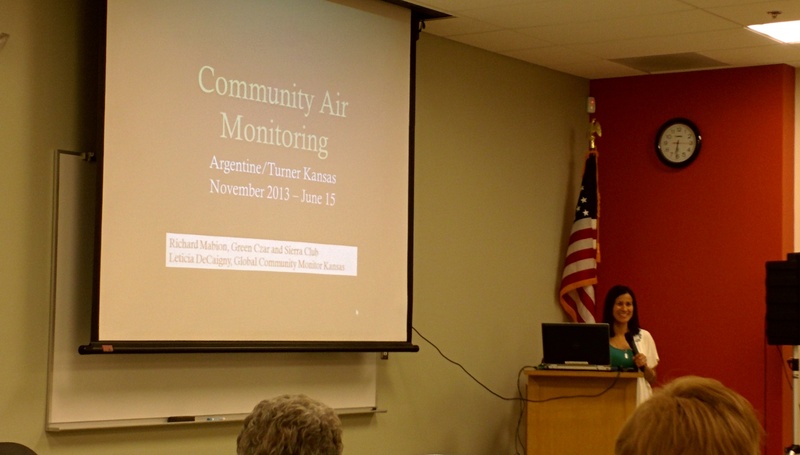 The Diesel Health Project and the Argentine/Turner Good Neighbor Committee are fortunate there are such smart and hard working news media folks in Kansas City! 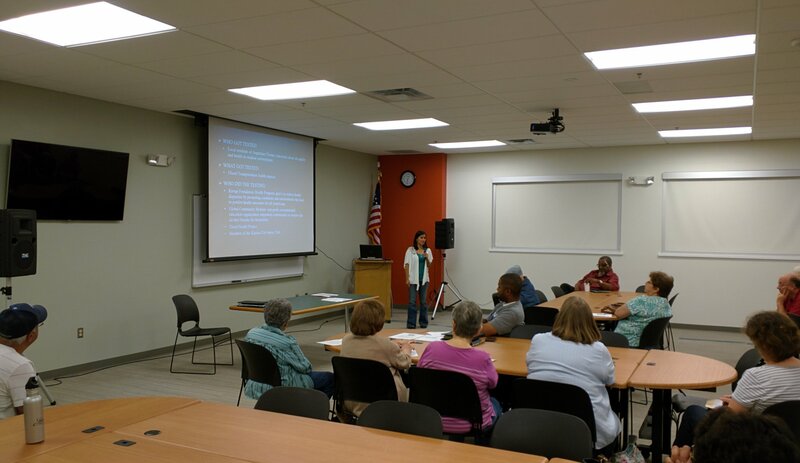 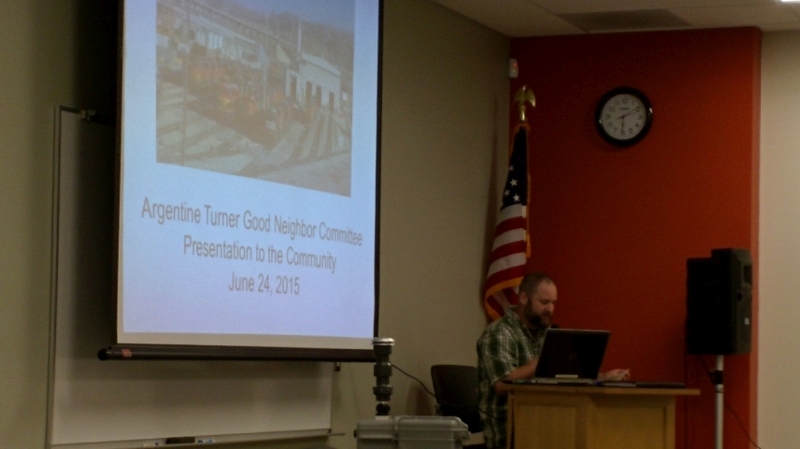 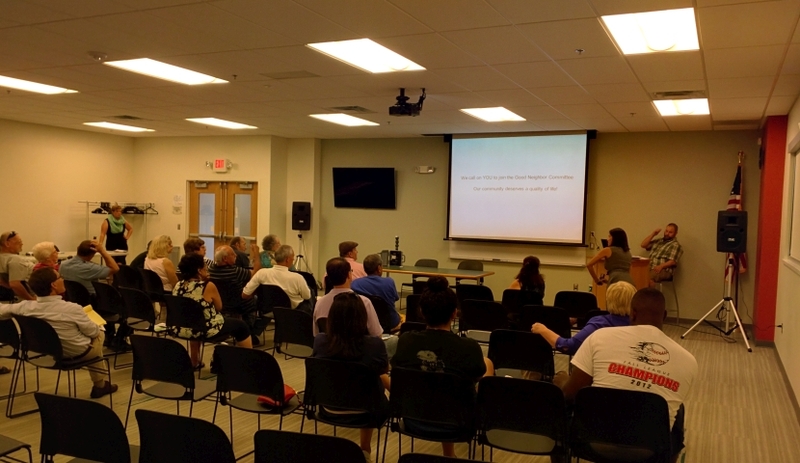 The Argentine/Turner Good Neighbor Committee had a great community meeting last night. 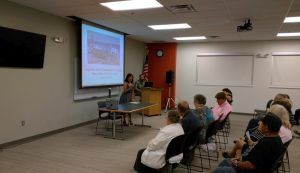 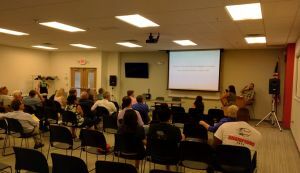 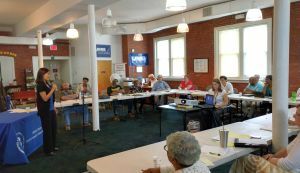 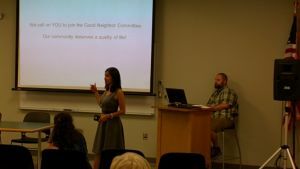 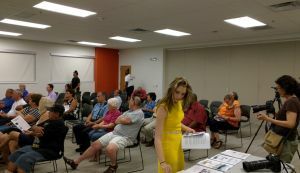 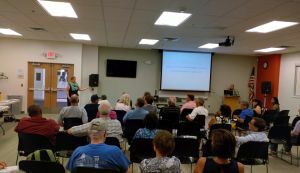 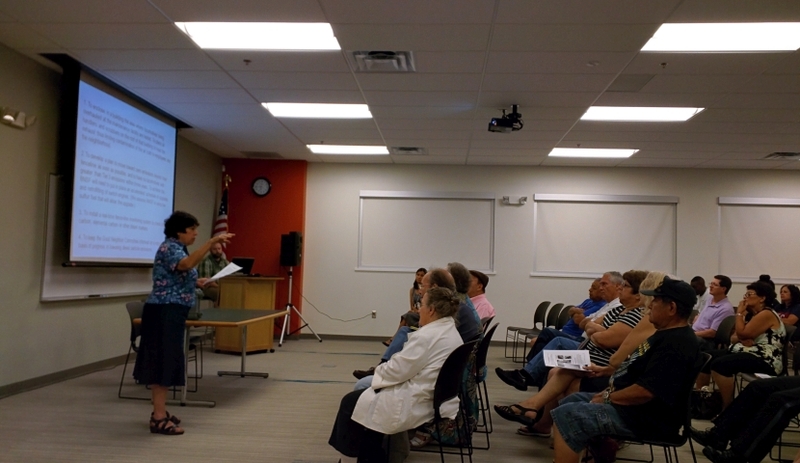 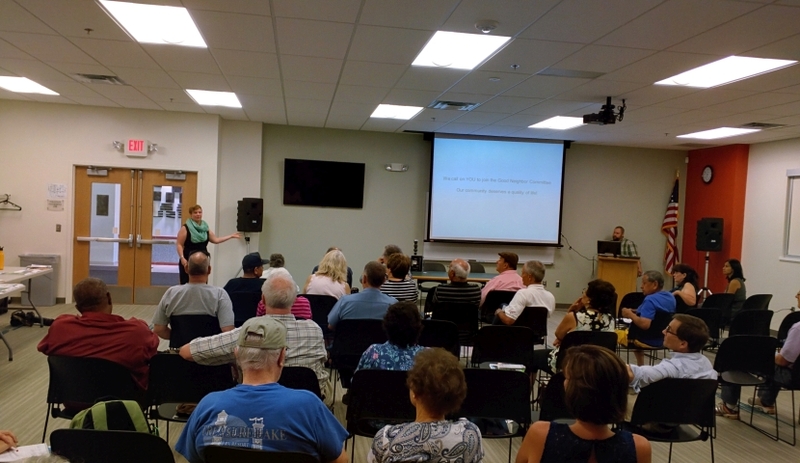 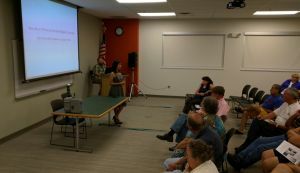 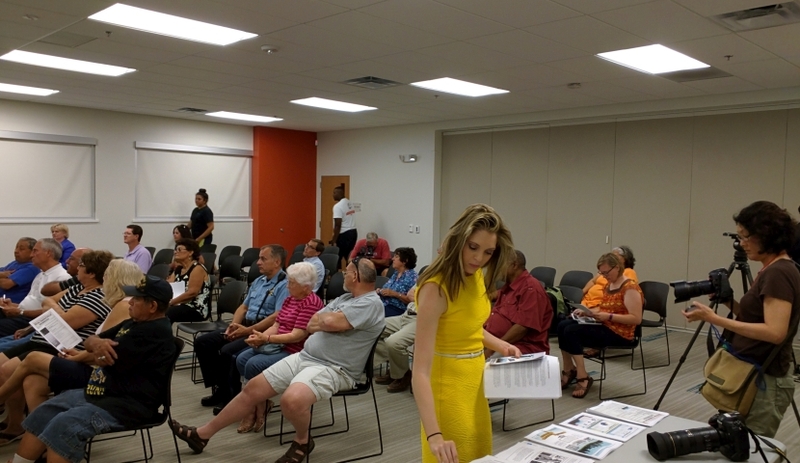 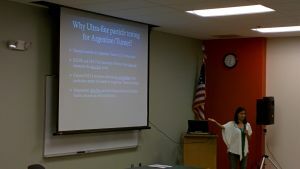 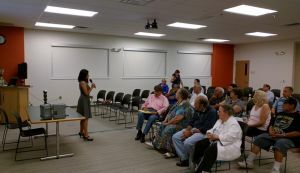 More than 30 people attended, including committee members, other Argentine residents, and representatives of Global Community Monitor, the Kansas Sierra Club, Diesel Health Project, and the U.S. Environmental Protection Agency. 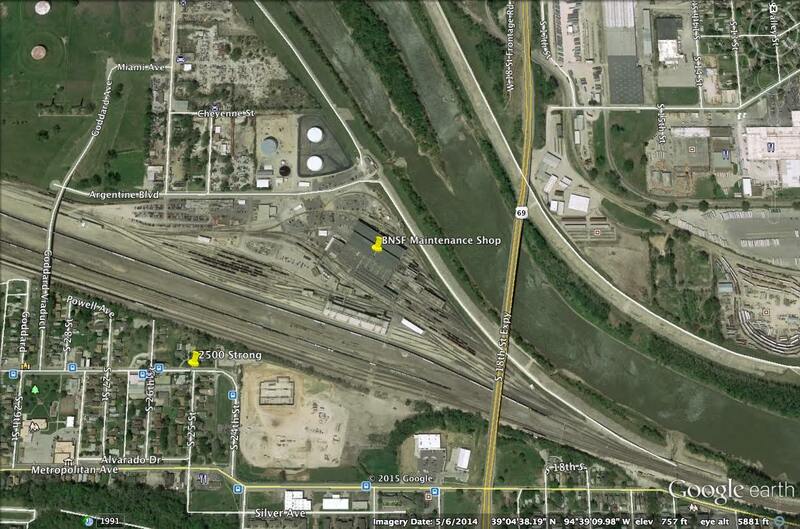 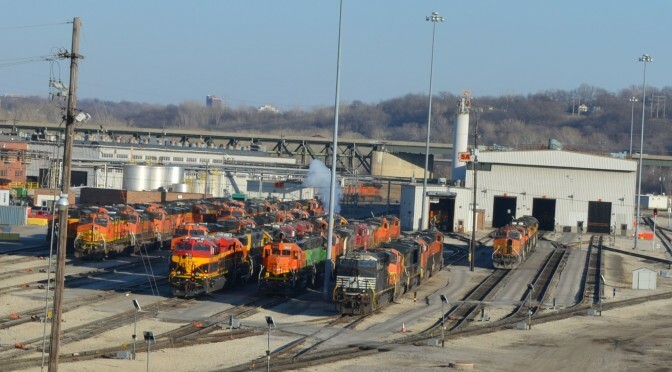 The BNSF Railway did not send representatives. 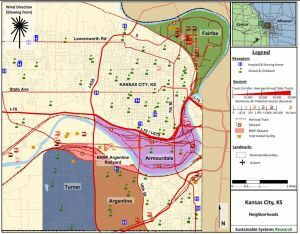 The CBS affiliate TV Station KCTV5 was there, and showed this news report on the evening news. 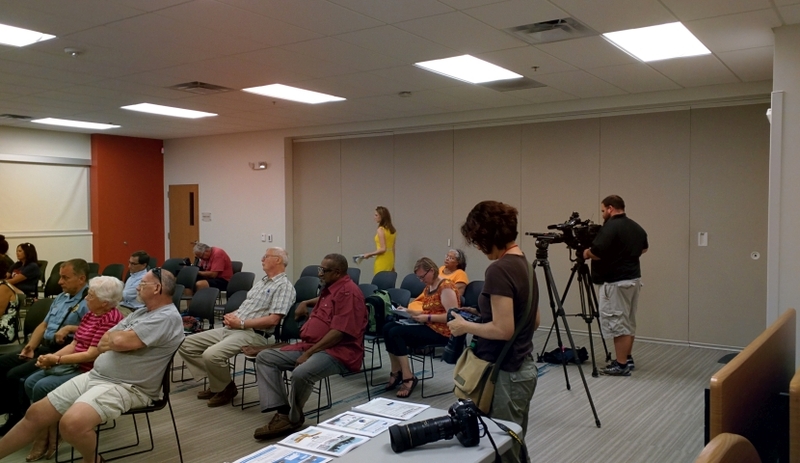 The Kansas City Star sent a reporter and photographers, but has not yet run a story. Leticia DeCaigny opened the meeting by providing background on how the project began and was conducted. 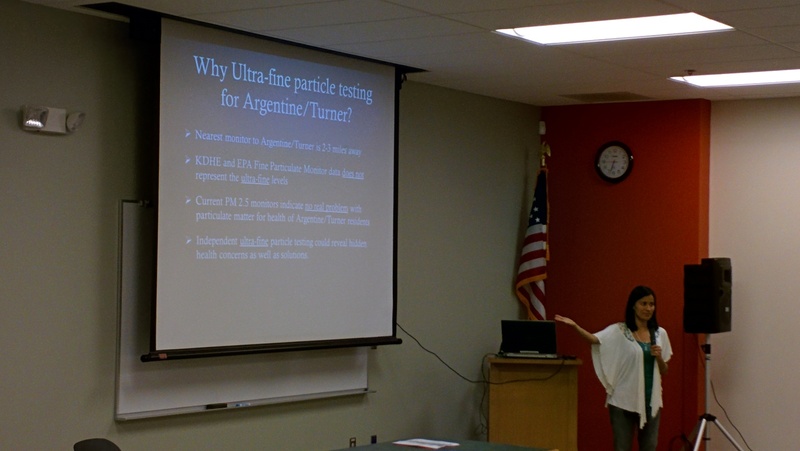 Her husband Ryan DeCaigny discussed the health risks of diesel exhaust, and the results of their monitoring, which showed that community members are subjected to dangerous levels of diesel exhaust from the Argentine Rail Yard Locomotive Maintenance Facility. 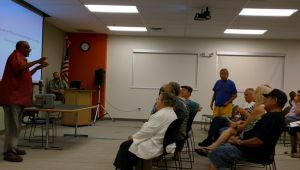 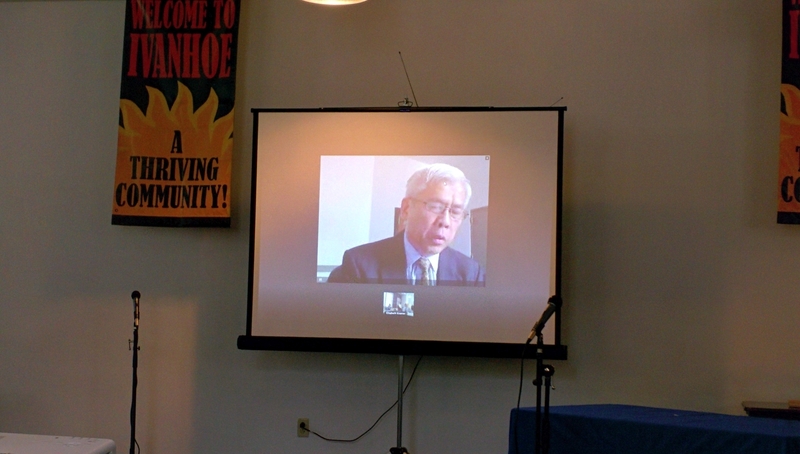 There were many good comments and discussions, One of the most important points was made by Richard Mabion who emphasized that the Good Neighbor Committee is not opposed to the rail yard – they are opposed to the rail yard polluting the air they breathe and endangering their health. 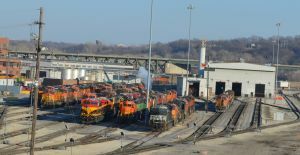 Richard described solutions to these problems that BNSF has implemented and proposed at other rail yards; and said that he wants them to use the cleanest possible technologies in Argentine too. 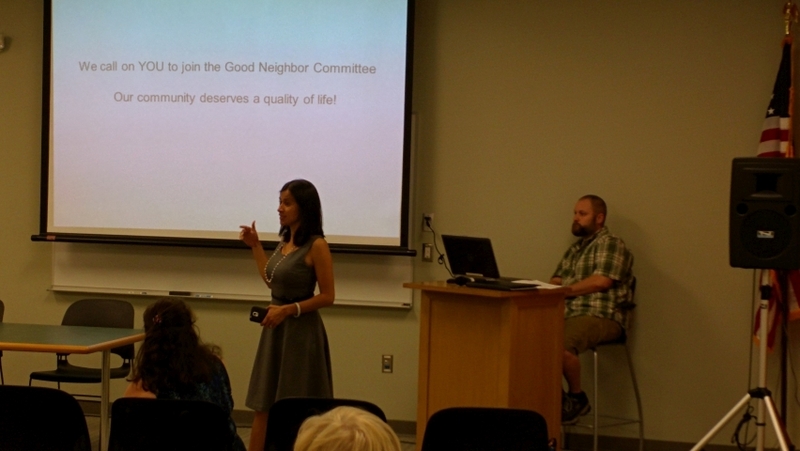 The Good Neighbor Committee had a sign up sheet and several people joined. At the end of the meeting, the committee distributed copies of the report produced for the group by the Global Community Monitor. 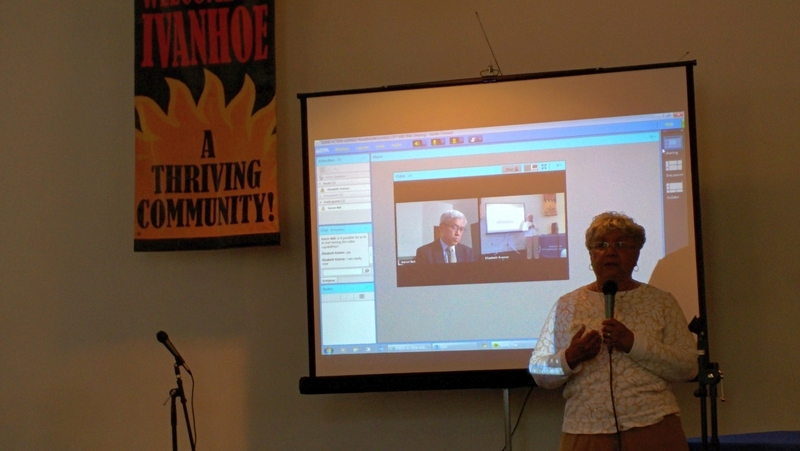 It can be viewed on-line and downloaded here. 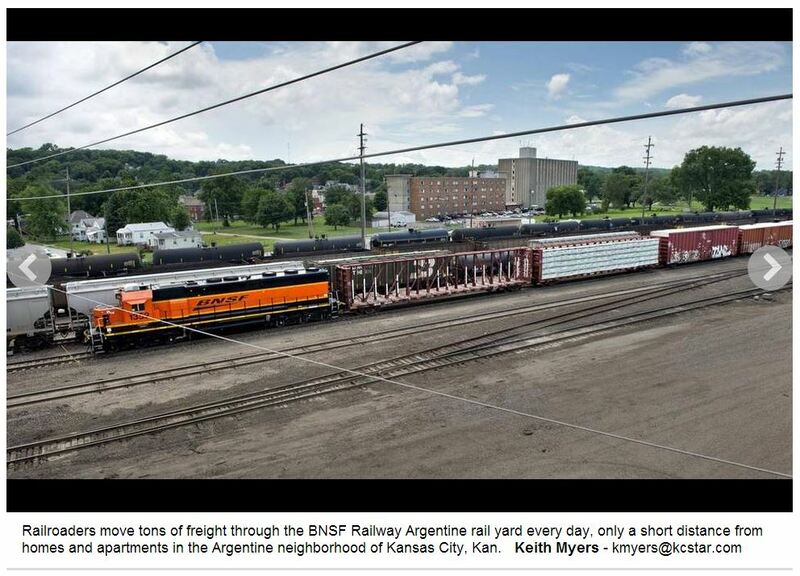 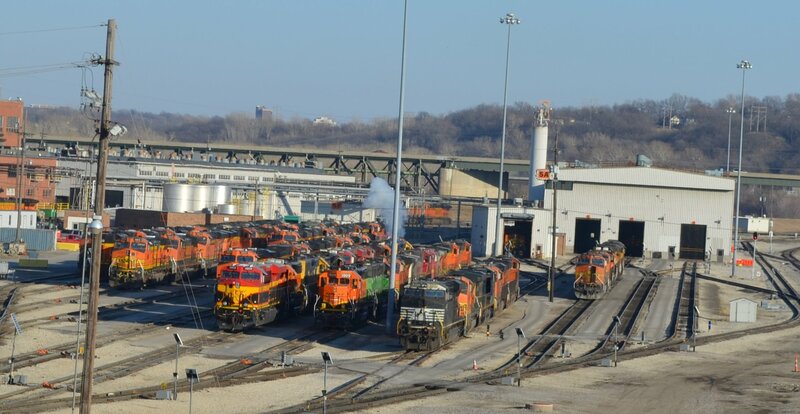 We share our community with the BNSF Argentine Rail Yard, where locomotives burn substantial amounts of diesel fuel, day and night. 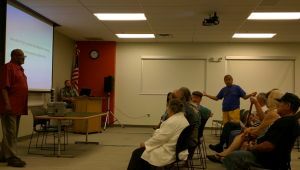 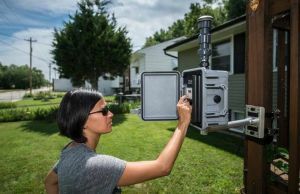 Come to a community meeting to hear the results of a study done by citizen scientists with the help of experts on the extent of diesel exhaust contamination in our air. 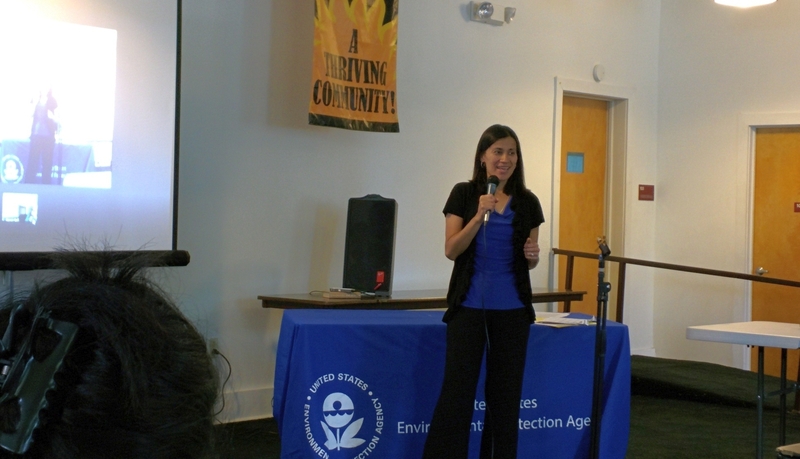 Diesel Emissions have serious health effects. KCK has very active and effective neighborhood groups, and several of them invited Leticia DeCaigny, leader of the Argentine/Turner Good Neighbor Committee and Diesel Health Project community organizer, and “Green Czar” and Diesel Health Project co-founder Richard Mabion to tell them about our community monitoring project. 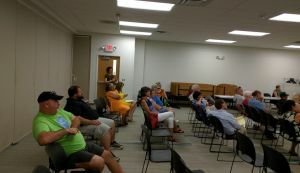 We met last night (Tuesday, June 17), and had a great time. 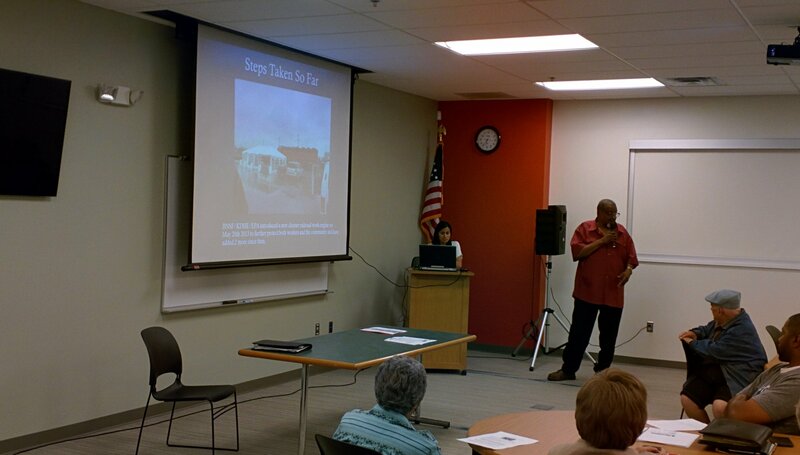 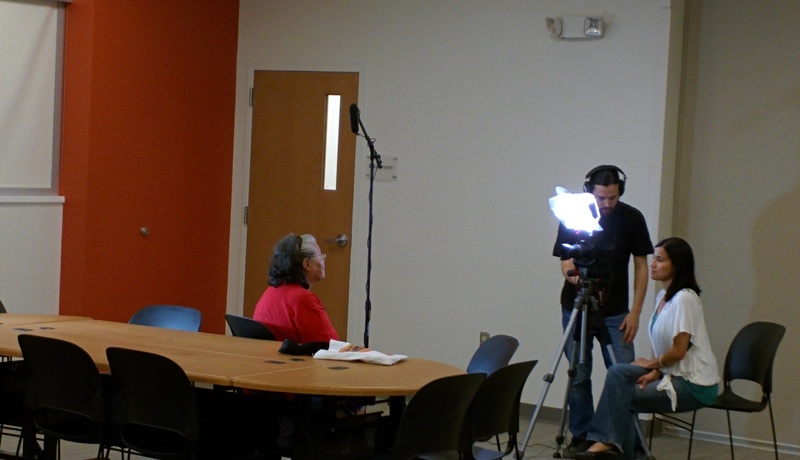 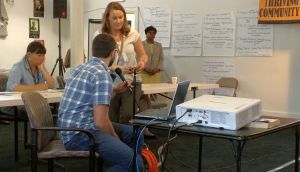 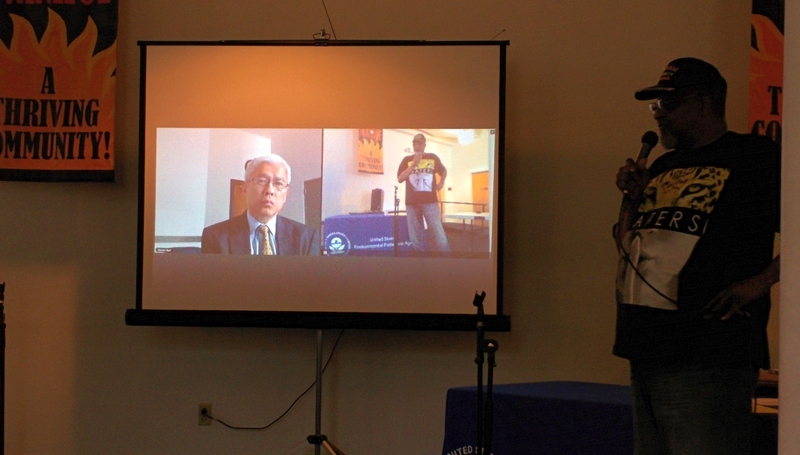 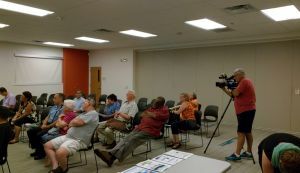 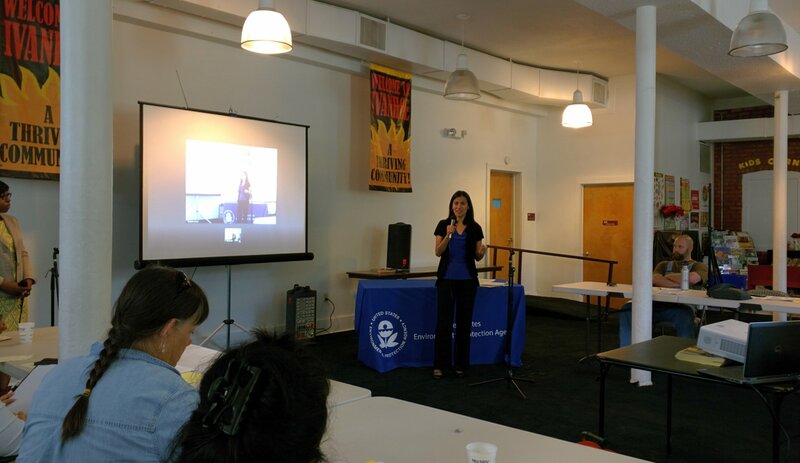 Leticia and Richard made a very informative presentation on diesel pollution air monitoring in the neighborhoods bordering the BNSF Argentine Rail Yard, and Diesel Health Project volunteers videotaped the event and interviewed community members. 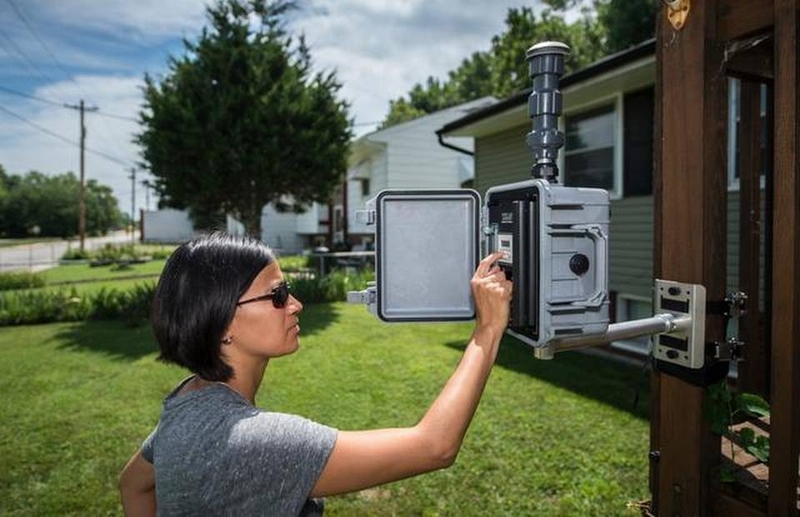 A week from today, on Wednesday June 24, the Good Neighbor Committee, Diesel Health Project and Global Community Monitor will hold a public meeting at the same location to release the final report on our monitoring and what we discovered. 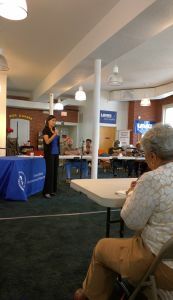 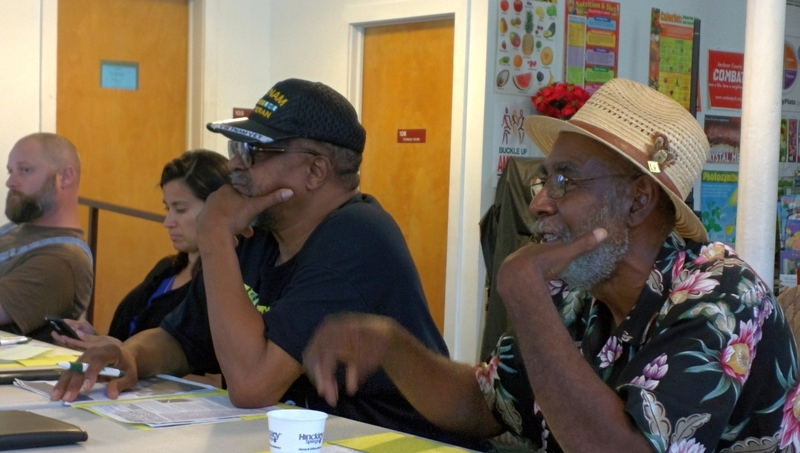 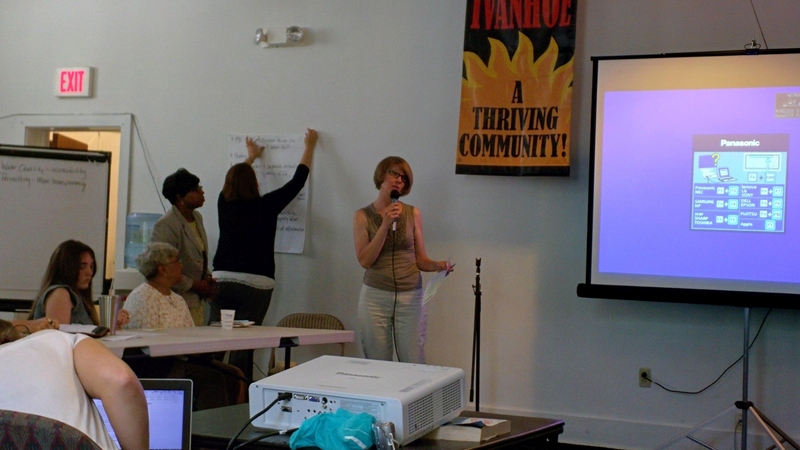 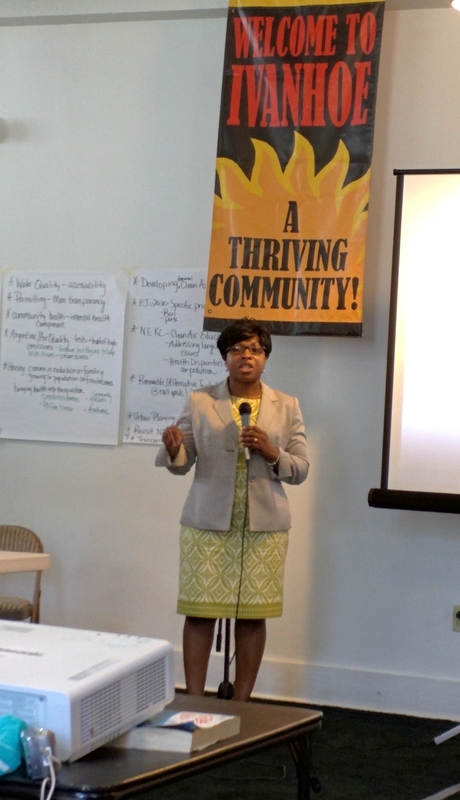 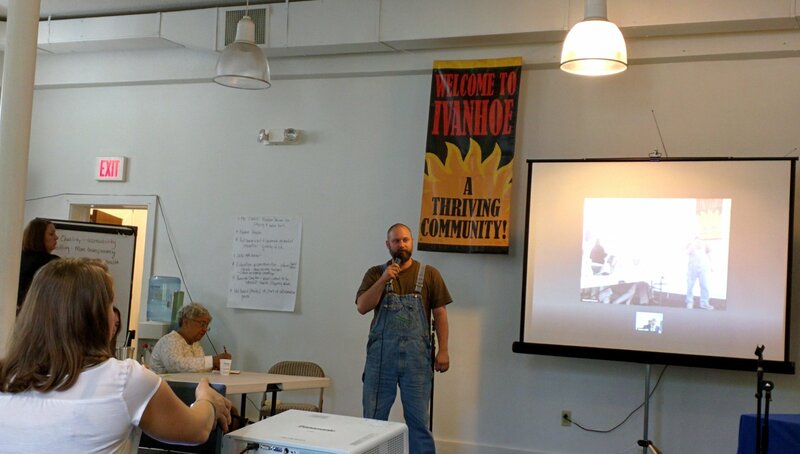 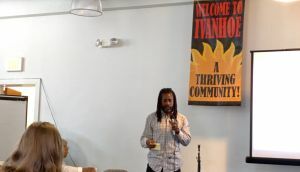 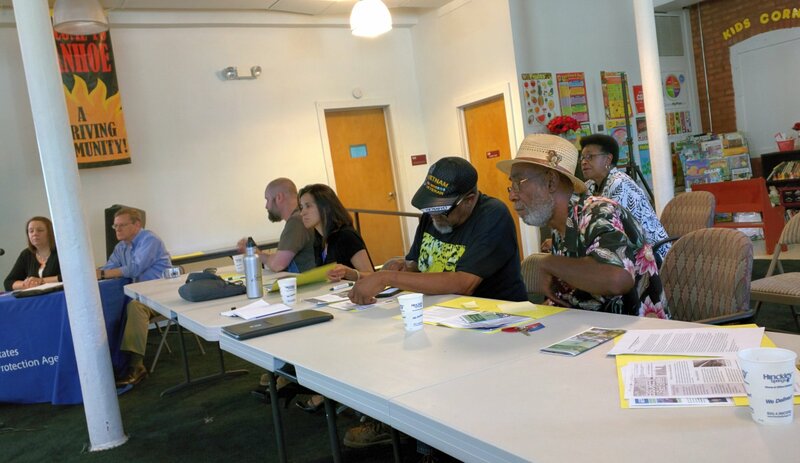 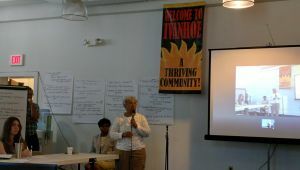 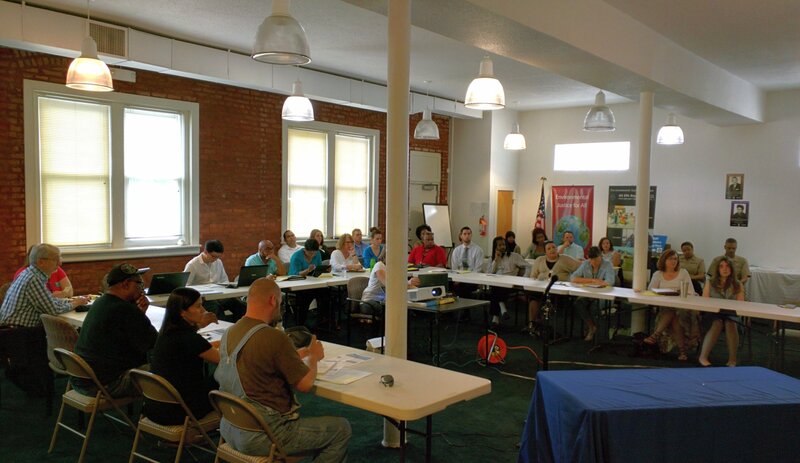 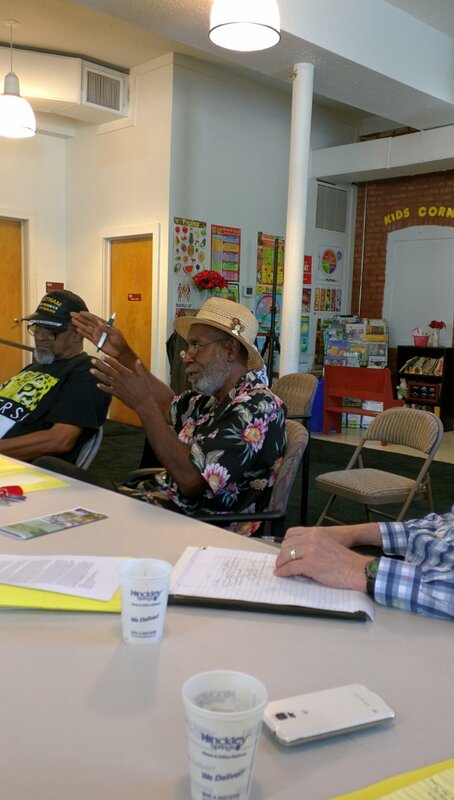 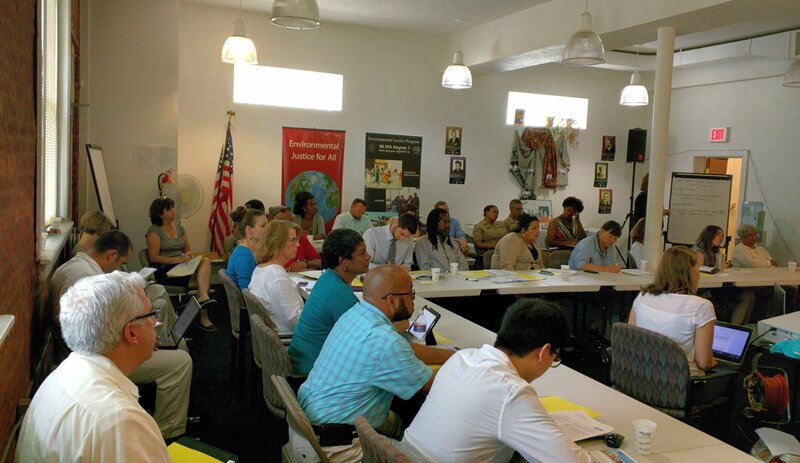 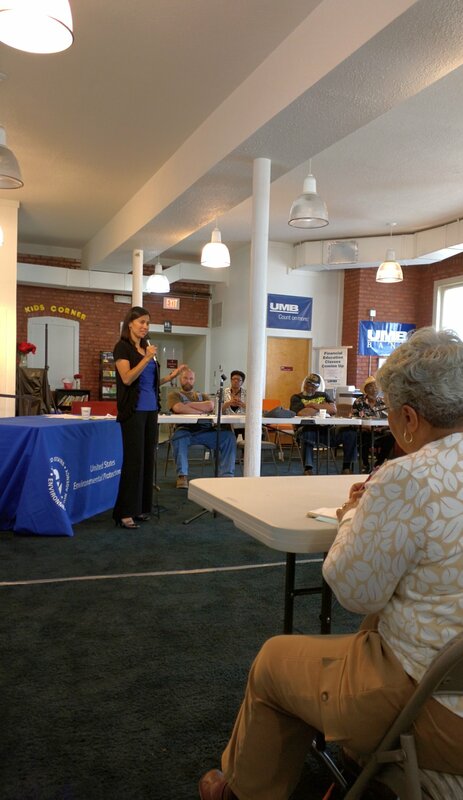 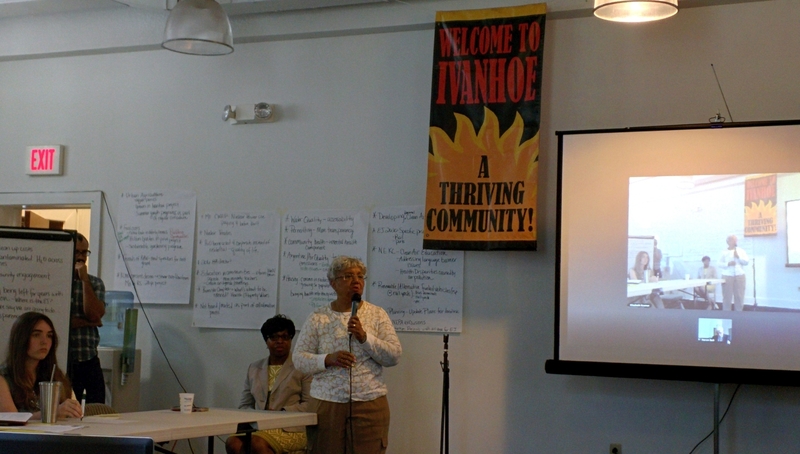 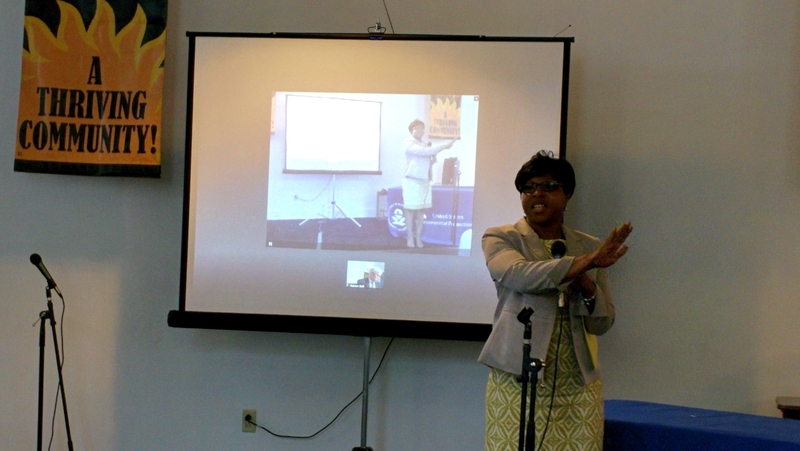 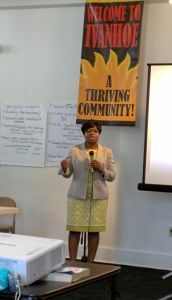 EPA Region 7 held an excellent EJ meeting last Thursday, at the beautiful Ivanhoe Neighborhood Center. 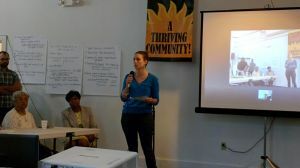 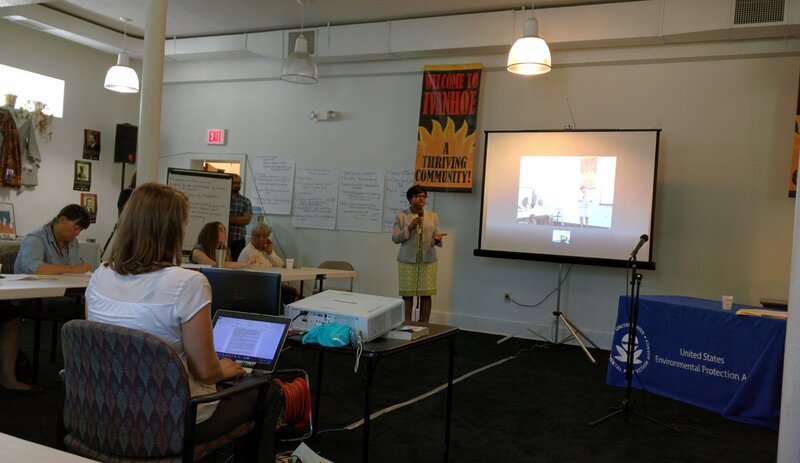 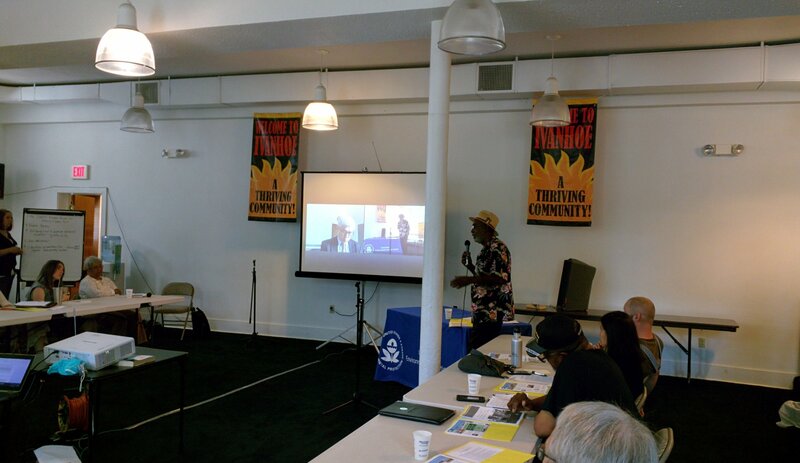 We reviewed and commented on the EJ 2020 Action Agenda, got a great demo of the EJSCREEN Environmental Justice Screening Tool, and much more. My comment to EPA on the EJ2020 Action Plan? 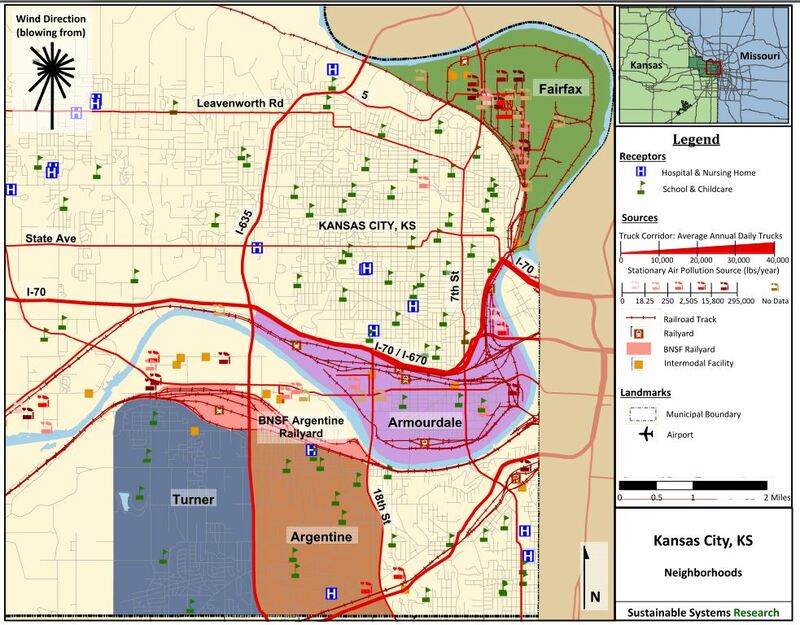 Please explicitly identify goods movement (aka freight transportation) environmental health in overburdened neighborhoods as a priority. 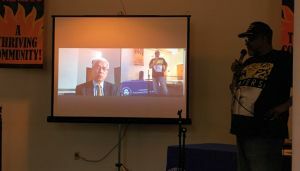 Thanks to Charles Lee, Altheà Moses, Margaret May, Karim Dawani, Brendan Corazzin, Elizabeth Kramer, and the rest of the folks who made the event happen! And thank you to the Diesel Health Project folks who came! To see photos from the meeting, just click below!